The Cornish Bird of Prey Centre is a fabulous day out for all the family. Located half way between St Columb Major and Wadebridge, approximately 12 miles from Newquay, the Cornish Bird of Prey Centre is home to over 50 birds of prey. These fabulous birds include Bella, an African Spotted owl, Alf, a European Eagle Owl, Ernie, a falcon and Jane, a fabulous Harris Hawk. All of these beautiful birds take part in regular flying displays. The Cornish bird of Prey Centre is also home to an array of other popular birds including parrots, macaws, peacocks, pheasants and the ever popular ducks!! The centre has a fabulous Tea Room offering hot meals, snacks and of course a good old Cornish Cream Tea! There is also a gift shop. The centre also has two fabulous well-stocked lakes covering over 3 acres which provide a tranquil setting for a days course fishing. 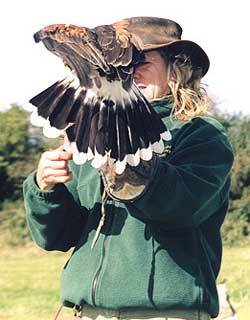 The Cornish Bird of Prey Centre is a thoroughly entertaining day out for all the family.